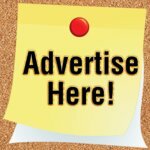 Making your own homemade chipmunk trap is a cheap and easy way to get rid of chipmunks that are causing damage to your yard, garden or home. This trap is deadly against chipmunks but it also works great for trapping mice and other nuisance animals like red squirrels or 13 striped ground squirrels. Although chipmunks can be cute and fun to watch, they can also cause a lot of damage. Chipmunks feel safe in areas where there is a lot of ground cover to protect them from natural predators. A fence line, porch, or the bushes along your homes foundation can create an ideal spot for a chipmunk to dig a burrow. This burrow system can be extensive and it will typically run along the manmade structure potentially causing damage to the foundation, landscaping or lawn. Chipmunks enjoy eating a variety of different foods. Plant roots found in your landscaping, bulbs planted in your flower bed, crops from your garden or seeds from your bird feeder will all make a tasty meal for a hungry chipmunk. What can you do to get rid these destructive little pests? Since repellents and sonic deterrent devices don't work and poisons are too dangerous, trapping is the most effective way to control them. By using just a few simple household items, you can make a trap that works extremely well. It's easy to make and the results are amazing. 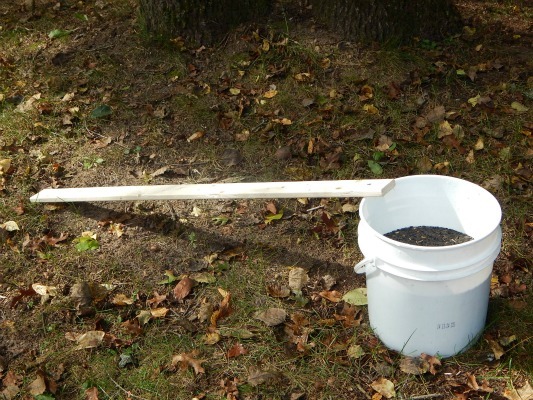 Before you begin, understand this homemade chipmunk trap uses a bucket of water to capture and drown the animal. Caution should be used if you have young children or other small animals that could fall into the bucket and drown. One 3'-4' piece of wood. 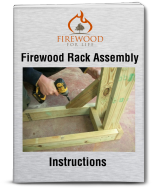 A 1x3 piece is ideal, but a 2x4 will work. Before you build your homemade chipmunk trap, locate an area where the chipmunks are causing damage. Setting the trap on a flat, level ground works the best. 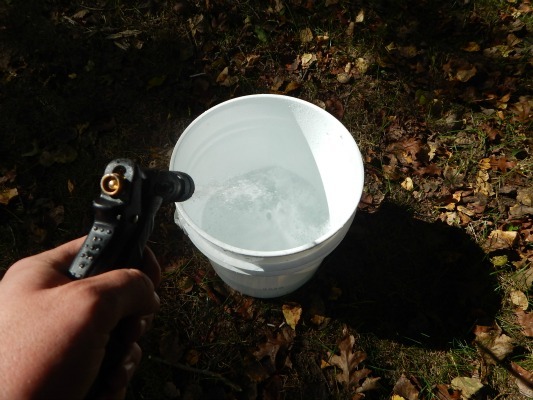 Once you've located an area, fill the five gallon bucket approximately 2/3 full with water. It's important not to completely fill the bucket with water because the chipmunks will be able to reach the bait without entering the bucket. 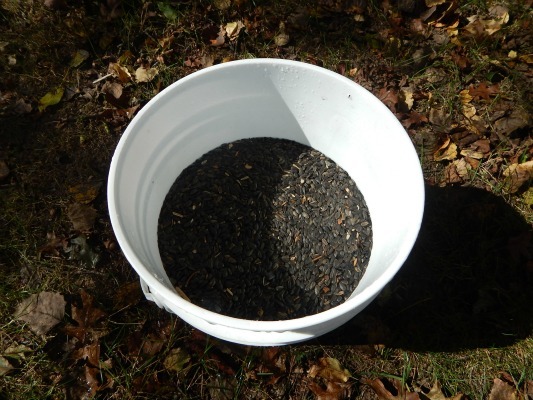 Next, add the black oil sunflower seeds to the bucket of water. The sunflower seeds will float on top. Add enough seeds to cover the surface of the water creating a "blanket" of sunflower seeds. For extra appeal you can smear a little peanut butter to the inside of the bucket just above the water line. Chipmunks and mice love peanut butter and the smell can help lure them into the trap. The 3'-4' piece of wood will be used as a ramp to allow the chipmunk to climb to the top of the bucket. Although the exact length is not specific, the wood needs to be long enough to create a gentile slope for the chipmunk to climb. Using a piece of wood that's too short create a steep incline and it won't work as well. I like using a 1x3 piece of pine because they're cheep and they're not as bulky as a 2x4. To build the ramp simply lean the wood against the top of the bucket. 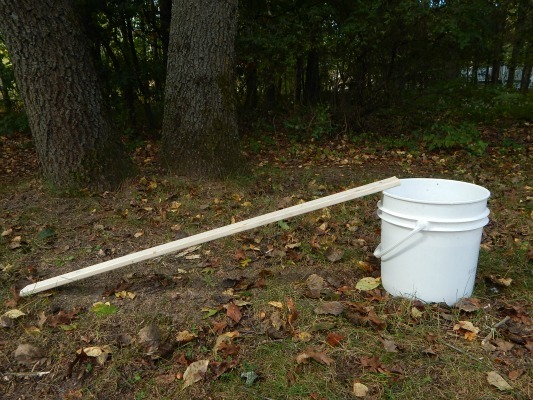 Allow about 2 inches of the wood to hang over the top of the bucket. If the ramp wants to slide off the top of the bucket, take a long screw or nail and drive it through the top of the wood. The screw or nail should be long enough to poke through the other side of the wood. Hook the end of the screw or nail over the lip of the bucket as shown. 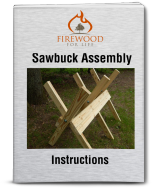 Make sure the screw or nail is flush with the top of the wood and does not stick up and create an obstacle for the chipmunk when climbing the ramp. Sprinkle a few sunflower seeds at the base of the trap and put a couple on the ramp. You can also smear a dab of peanut butter on the ramp to help lure the chipmunk to the top. That's it, you're done! The sunflower seeds will float for a few days then they will begin to get soggy and stink. I like to change the seeds every other day or when I remove a dead chipmunk from the trap. You can catch several chipmunks, mice and ground squirrels in a single day when using this method. Often referred to as the "swimming pool" method or the "pool of death" this method is probably the easiest and most effective trap you can make. Believe it or not, the chipmunks will simply leap into the bucket of water for the sunflower seeds. Larger animals such as fox squirrels or grey squirrels are acrobatic enough to reach into the water and grab the seeds without falling in. 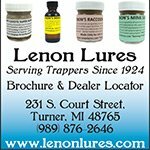 This prevents unwanted catches and limits the trap to smaller rodents. You can also choose to burry the bucket leaving about 1-2 inches above the ground. This eliminates the need for a ramp, however, I don't like this option because it increases the likelihood that someone or something could fall into the bucket of water. Setting the bucket above ground with a ramp is safer and it's just as effective. One downside to the homemade chipmunk trap is that it uses water to drown the chipmunk. This requires the chipmunk to swim in the bucket until it expires. The time it takes for the chipmunk to drown can vary which may or may not be acceptable to everyone. 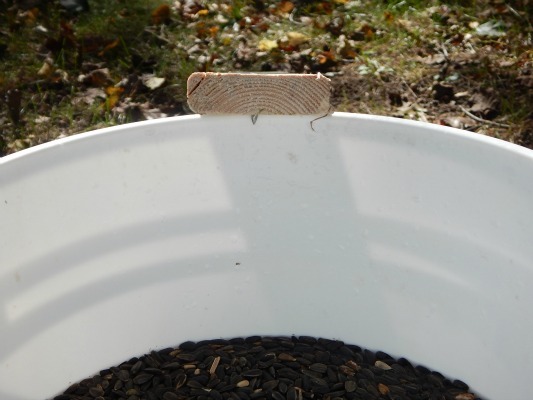 If you're having problems with nuisance chipmunks, ground squirrels or mice, consider building a homemade chipmunk trap. 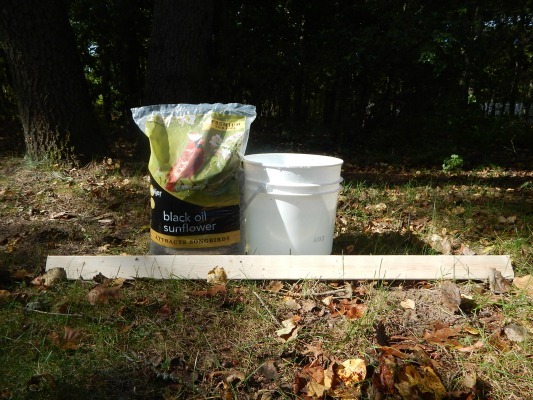 With a few common supplies and about 10 minutes of your time you can build a fantastic trap that works really well.